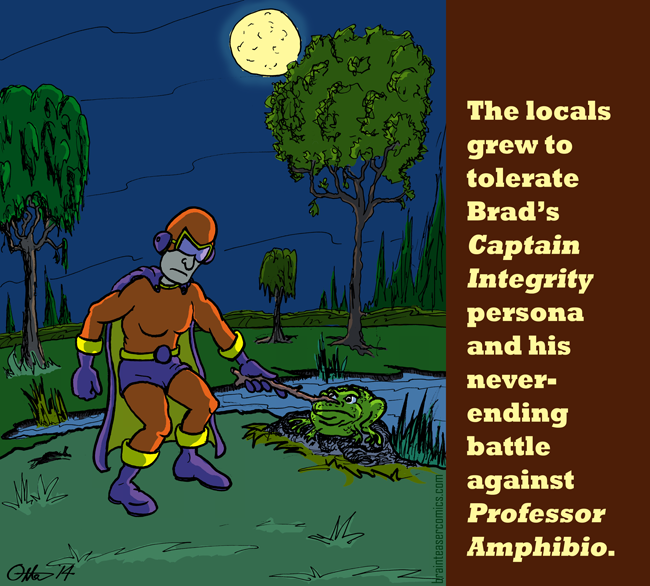 Captain Integrity is a bit of an oddball. Who are your favorite off-kilter, non-traditional superhero characters? I've always been a fan of Shannon Wheeler's Too Much Coffee Man.